A 45-year-old man presents to the emergency room for blood in his urine. He reports that he had a renal transplant 3 months ago and is currently on many immunosuppressive medications that he cannot name at the moment. He also reports dysuria and suprapubic pain. He denies having any fevers or chills. 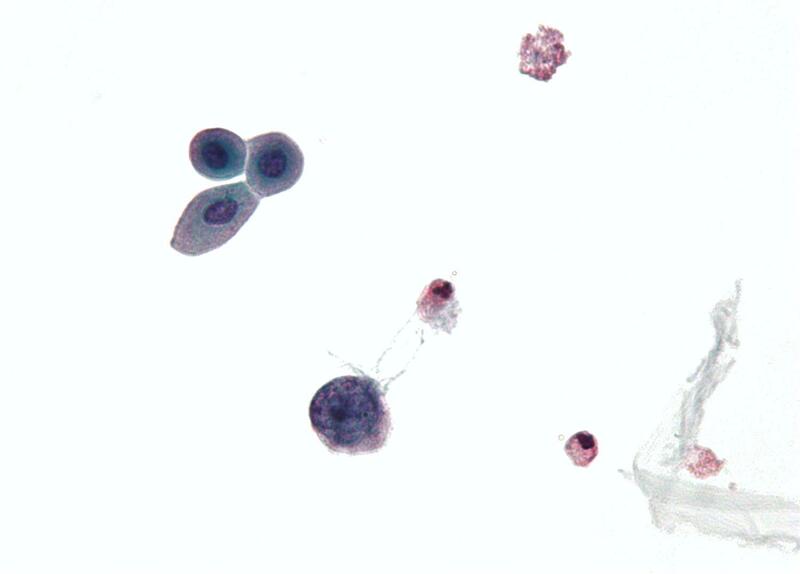 A urinalysis is positive for blood but is negative for nitrates or leukocyte esterase. He is started on intravenous fluids and admitted to the inpatient ward. A nucleic acid amplification test of his urine is positive for a polyomavirus. attempts are made to reach his transplant physicians to alter his immunosuppressive medications.